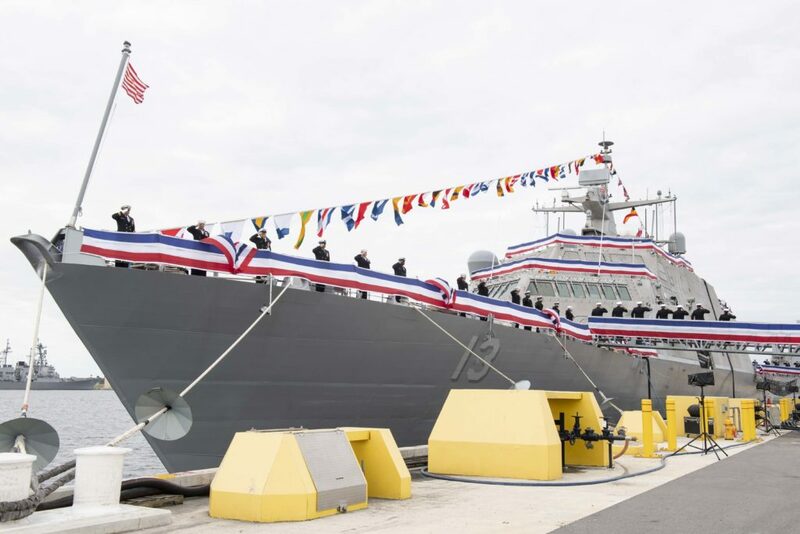 USS Wichita (LCS 13), the Navy’s seventh Freedom-variant littoral combat ship, was brought to life during a commissioning ceremony at Naval Station Mayport on Jan. 12. Wichita has a crew of approximately 70 Sailors, and is designed to work close to shore and in the open ocean. This provides cost-effective force flexibility and allows the Navy to strengthen allied partnerships. The first USS Wichita (CA 45), a heavy cruiser, was commissioned in 1939 and served in World War II. The second was the lead ship of Wichita-class replenishment oilers and designated Wichita (AOR 1) upon its commissioning in 1968.